To kick into the month of transformation, I wanted to talk about our intentions for the month first thing! It is the first week of the month and the first week of what is about to be a new season here in the coming weeks. As we move into this month, I want us to think about how we can choose to make the most of not just this month but the next 12 or so weeks we have till the holidays. We are typically settling into a routine and finding our footing after a busy summer. So what can we do now to make a change in ourselves? I rounded up 5 different ways that can make a huge impact with very little effort in our lives. I already am currently tackling two out of these five and getting them implimented into my life these days. After a crazy summer, it feels good to find routine again and add in some things that are helping me better a version of myself. 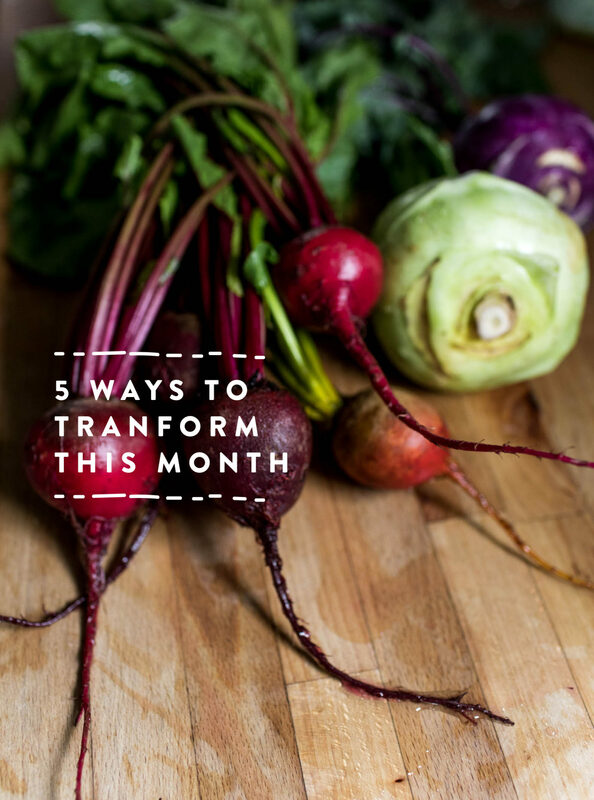 So get inspired to find a way to transform yourself this season with me! It is going to be fun! I have been working on a little side project this summer. Thus, why I have been posting fewer days over the last month. I have learned that the hard way there are only so many hours I am able to work if I want the mom life and work life I want. So I have to balance that. For a while, I felt this side project would need years, but now after setting up my time and work load to accommodate room to make it happen, I have dreams of it coming together sooner rather than later. More on that another day, but part of this side project has meant learning a lot of new skills and pushing myself these last few months. I have learned that to learn something new, I need to set aside at least an hour every day I can give my full self to it. When I set this goal of 1-hour every day, I easily found it in my schedule. Whether it was during Hayes’s nap, in the evening reading, or spending an hour during my work hours to put into action. Some days I would find more than an hour, but when I put a small increment into my day to make myself dedicate that time I have learned so much. Now, as I head into fall, I am ready to get my hands really dirty with these skills and take it to the next level. 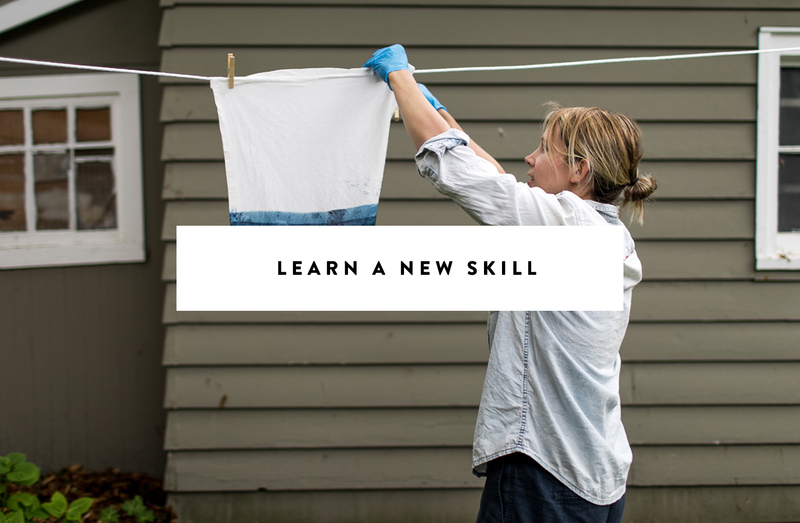 A great place to start to help you learn a new design and creative skill is always Skillshare. If you haven’t used it and want to learn something new this fall, I would highly suggest it. Take away: To learn a new skill all we need is at least 1 hour a day. If you don’t even have that, find the right dedicated time for your schedule. It is amazing what can happen when we consistently set aside time to learn or dive into something new. Mike and I talk all the time about all the different “diets” we have tried and some worked and some didn’t. Though I think they all have their place, it seems all of them have one common demoninator: track what you eat. That said, if you are trying to eat healthier this fall and get on a good healthy eating plan, I think the best first step is to figure out a calorie amount you should be eating for your body and goals and then use an app such as MyFitnessPal or Lifesum to keep yourself on track and aware of what you are eating. I know it takes a little bit of time to track your food, but it is amazing how tracking it helps us become aware of what is going in. If you are like me, you can easily chow down on some cheese or almond butter and forget how much you ACTUALLY ate. So, instead of jumping into Whole 30 or doing Keto or some other kind of diet, start off by just becoming aware of what you are eating and what you aren’t as well. These trackers help you see your Macronutrients as well so you know if you are eating a balanced diet as well. Extra important! Take Away: Before getting too serious about a diet that may or may not work for you, spend this next month, just tracking your food and what you are eating as well as the calories you are consuming. From there you can maybe choose a different system, but this way you are aware of what is going in every day and even the rhythm of your week. After moving half a dozen times in the last year with a toddler, I feel like every time I swear I am done with owning things and I consider myself a pretty minimal person. I will say that minimizing is hard, but it may be one of the most freeing things. I find it exhausting though. 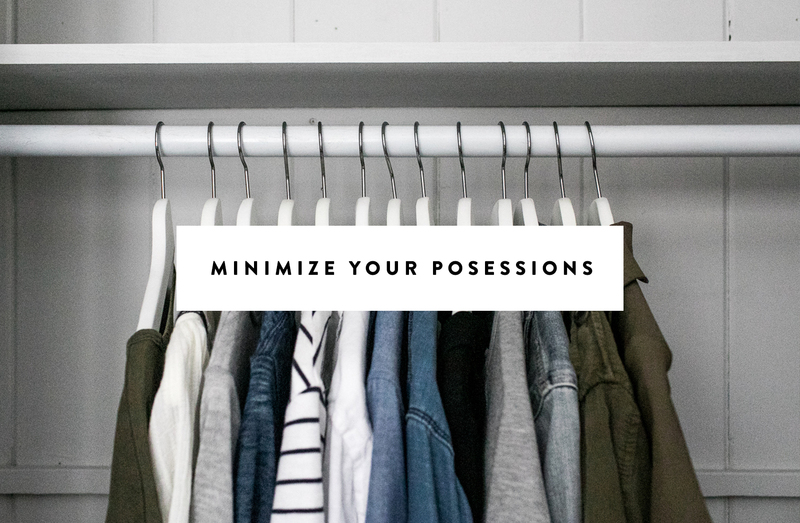 Between emotionally letting things go that hold memories and then taking them to thrift stores and resale shops, it all can add up. So how do you actually minimize your life without it overwhelming you? This last year I have slowly gone through places in my home, deep cleaned them, and organized them. I then committed one day to just getting it all out of the house and taken to the proper places. Though we just did this on a large scale in June, we won’t be doing this fall, but I will be committing to organizing some clothes in the coming weeks as we enter into cooler days. Take Away: Check in on your closet after the warm days are faded. Anything you didn’t wear or wasn’t in love with, let it go. We hear about the benefits of quieting our mind all the time, but how do we ever find time for it. This last winter I took about a month and got into meditating. It was life changing during a time I needed something to clear my head as I found my footing back in my career again. From time to time I still come back to it, but what helped me create this new routine was using an app called Headspace. It is beautifully designed, simple, and most of them are only 10 minutes. It is amazing how that can kick you into the right place mentally so easily. The real key though, dedicating quiet time for yourself to make it happen. 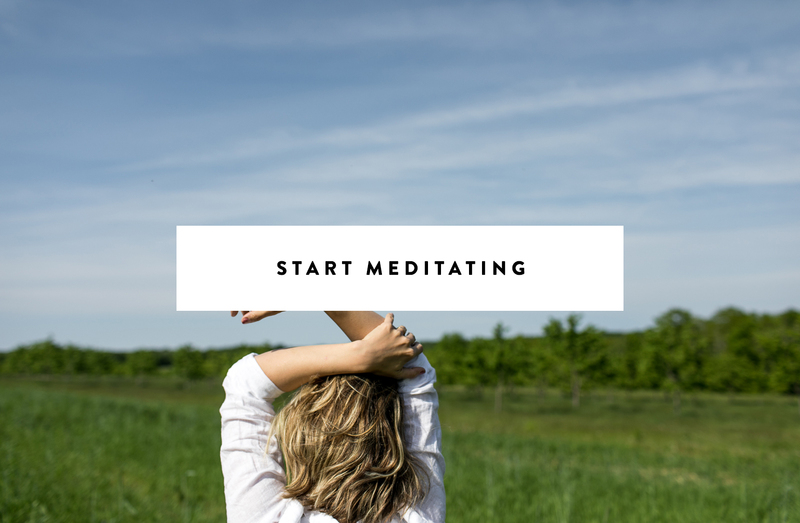 Meditation is amazing especially during times where you are working on new ideas or a shift in your life. Leaving the mental space for your mind to wander is almost like giving yourself a mental vacation. Fall is an amazing time to start this routine. Take Away: Find dedicated time in a quiet space to calm yourself. Sometimes before work or right before getting out of your car before work. Also, use Headspace! I don’t know about you, but summer is when I always gain weight. I usually am drinking more, eating a lot more bread, and eating a lot more on the go so I almost always gain a few pounds. Plus, I rarely if ever really get into a regular workout routine in the summer since I am so active every day I never can justify it. I use to beat myself up about it though. Now, I just let it go because it is only a few months. Summer is about letting your hair down and letting loose. But come this time of year I am ready to take action. 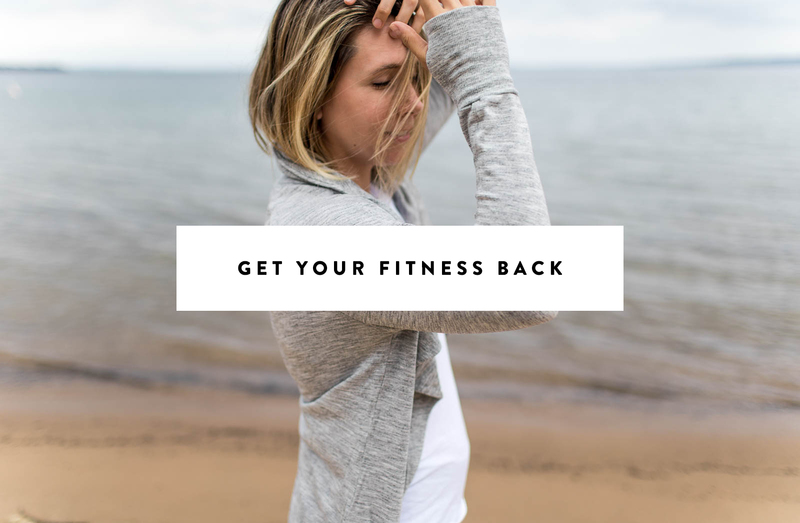 So I almost always choose a workout routine to help get me back to center or better in terms of fitness. This year, this is my big transformation. I haven’t really gotten my body back to being fit since having Hayes and I really would like to do that before winter really sets in. I have done a lot of different things, but since I live far from a gym, I have been using the Nike Training Club App (its free!) to help get me going. You can set a plan and it will remind you to workout and plans your workouts for you. All the workouts are between 15-45 minutes and you can set your intensity level. It is really nice. What I love is that it reminds me to workout. Today, I could easily have skipped my workout but I remembered it because of the app. It is almost like having a workout buddy keeping you accountable. Take Away: Decide on what is going to work for your body and energy level every day. I suggest using an app to remind you to get your workouts in. Something about the notification is the perfect push. I am so excited to hear what ways you are going to bring transformation into your life! Hopefully these above ideas inspired you. Whether you go after one of these or choose another. I hope these help make a huge difference in your season this year. I’m really proud of my daughter, who made a list of things she wanted to learn over the summer. We weren’t able to take a vacation, and she wanted to make her two months count. She started running, took a photography class, an archery class, she learned to make gnocchi and pasta from scratch (thanks, Internet) and I taught her to sew. Not bad. BTW, archery was free at a park and the weeklong photography class was €15 and included equipment, lunch and transportation. The one on her list we couldn’t find locally was coding. One thing I’ve noticed since being a mom is that I tend to do the “right” thing more because I want to be a good role model. 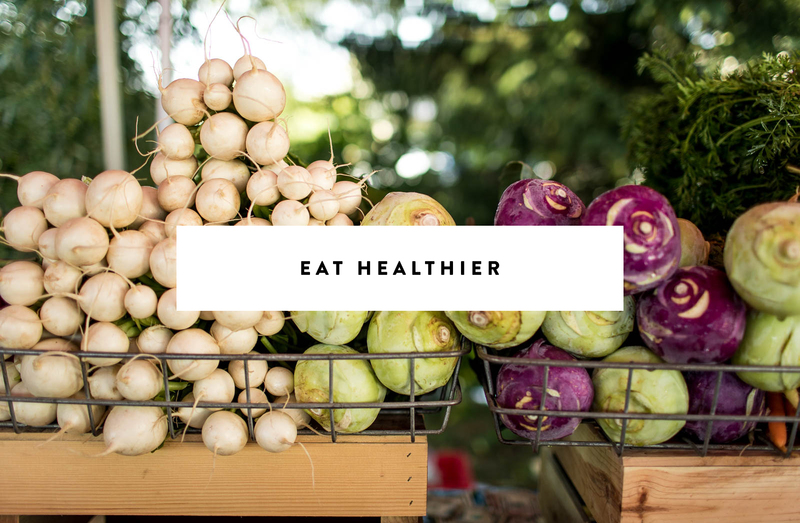 I eat better–pretty much everything is cooked from scratch. I exercise, which I always did regularly, but before it was to look good and now it’s to be healthy. I find that having kids is a great motivator. This is such an amazing reminder! Most of these are my goals for the year and it’s refreshing to see resources to help me achieve my goals! I want to learn how to code and I have been meaning to start running to get my exercise in. Thank you for the post!! I am craving routine this fall and am looking forward to getting back to the basics. My goals are to reinstate habits vs blowing up my entire routine and I’m looking forward to it! I love this post! It’s incredibly inspiring and not overwhelming. Your take on transformation is a lot about making small, but significant changes that really make a difference in the long run. I completely agree. I used to think of transformation as doing something SO CRAZY AND OUT THERE, like it’s supposed to transform my life RIGHT HERE, RIGHT NOW. But, changes that last doesn’t work that way, does it? It’s about the small, seemingly insignificant and many times ordinary that truly leave us better than before. I will be transforming by taking a Yoga Teacher Training this fall. It’s a practice that speaks to my heart and I believe in it so much! On the topic of Minimizing Possessions: Apartment Therapy is currently doing something called the September Sweep. If you sign up with your email address, you receive an email each weekday this month with a small task for home organizing/decluttering. I’ve signed up and I’m excited to have a plan to tackle things bit by bit. (http://www.apartmenttherapy.com/lets-go-the-september-sweep-begins-with-one-simple-step-249401) Thought I would share it incase anyone else in this community might find it to be helpful too! Happy September! This is awesome! Thank you for sharing Stephanie!!! This was such a wonderful read this morning while the weather is crisp and bright here in dallas, tx. September is my birth month, and I always look forward to the changing of the season. It’s as if even nature is ready for a redo and we all get to hit “refresh” on our lives. The nike workout app destroys me!! Sometimes when i don’t run I think hey, I’ll do a core workout with the nike app..then I’m sore for the next 4 days. I love your new seasons posts, this summer I have definitely been taking advantage of alllll the stone fruit and the warm sunsets at 8 pm. Kind of sad to see them go. yes, you can definitely never learn enough…. i’m very much into reading books… learning how other people think…. 🙂 Have a beautiful automn! Love this! So inspirational for the start of a new season. I thought you’d enjoy this blog post written by a yoga teacher who I study with here in Philadelphia, about how your body adjusts to the changing of the seasons and easing into Fall from a yogic perspective. It felt right up your alley with seasonal living!